At the north end of West Street in the City of Hillsdale lies the Oak Grove Cemetery. Considered hallowed ground by many, it is the final resting place for a plethora of Hillsdale’s finest, infamous and many unknowns. Organized in 1859, the cemetery developed during the years of the Civil War. Intended to be the “City Cemetery,” the site received little care during the war years. A yearly burn-over and pasturing of animals sufficed for maintenance in those early days. By 1867, local women had seen enough and organized to begin cleanup of the cemetery grounds. The Ladies’ Oak Grove Cemetery Association was formed with the following statement: “It is putting it mildly to say that our cemetery as it is now is a disgrace to our town ….” “The Ladies,” as they became known, threw themselves into beautifying the grounds through money-making projects and hard work. Monthly meetings were held in the “Gridley Rooms” downtown. Ann Sholes Gridley, former Civil War “nurse” and namesake for the local D.A.R. (Daughters of the American Revolution), was the longtime vice president of the Ladies’ Oak Grove organization. With similar dedication, Mrs. Eliza Whittier, sister of Harriett Wing Mitchell, early librarian and resident of the Mitchell home for over 40 years, acted as the longtime treasurer. By 1870 enough had been collected by the Ladies to donate a new archway at the cemetery entrance. Other significant projects followed, including the fencing along Montgomery Street. 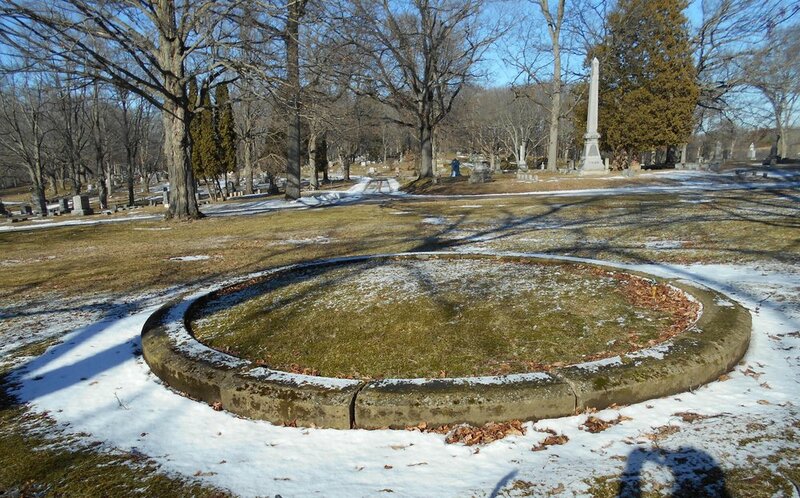 In histories written about the development of the Oak Grove Cemetery—particularly in the 1879 History of Hillsdale County—mention is made of the expensive archway entrance, but not a word of the Ladies’ organization that raised the funds for it. The stately archway remained at the original entrance until sometime around 1960, when safety concerns became an issue and the top of the archway was removed. In recent years, pieces of this original stone archway were discovered piled in an area behind Potter’s Field, at the right of the current entrance. The City had been filling the area from the street north until almost reaching the archway stones. An urgent plea made to a former city manager resulted in the filling being brought to a halt and a subsequent attempt by City workers to salvage some of the archway pieces. 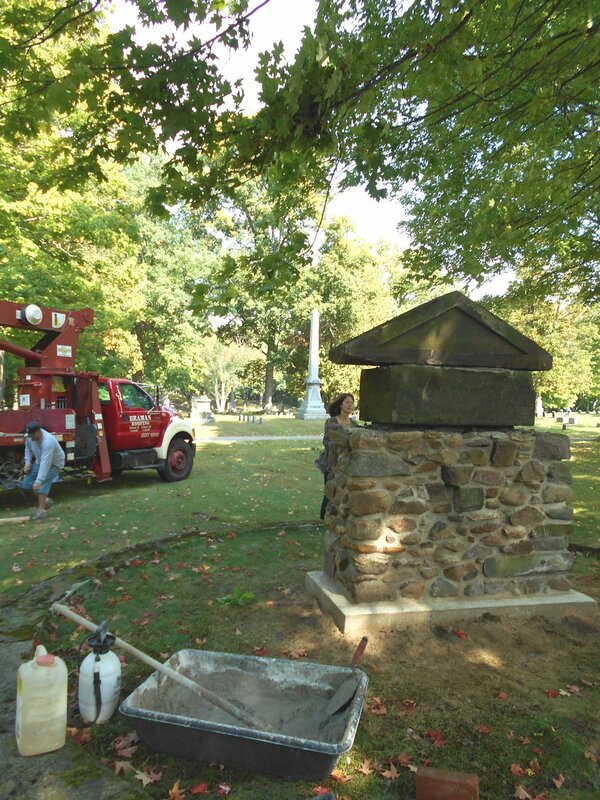 The primary pieces saved include the 55-inch-wide peak, adorned with “1870," plus the stone that reads, “Erected by the Ladies of Hillsdale.” These two original stones have been set atop a stone base, erected using native stone from Straw-berry Hill in Cambria Township and meticulously assembled by mason John McCormick of Allen. The monument is on the site of the former location of the Oak Grove fountain, in the circle that originally held the cemetery’s windmill and water lines. A peaceful spot within the original Oak Grove plat, this area is surrounded by the monuments of Mitchell, Stock, Koon, Sutton, March and other early city fathers and mothers. Honoring the early efforts of those who worked diligently—yet largely unrecognized—was a joint effort of the Hillsdale County Historical Society and the Mitchell Research Center. This project could not have been accomplished without funds donated in memory of the late James O. Taylor, Hillsdale genealogist. 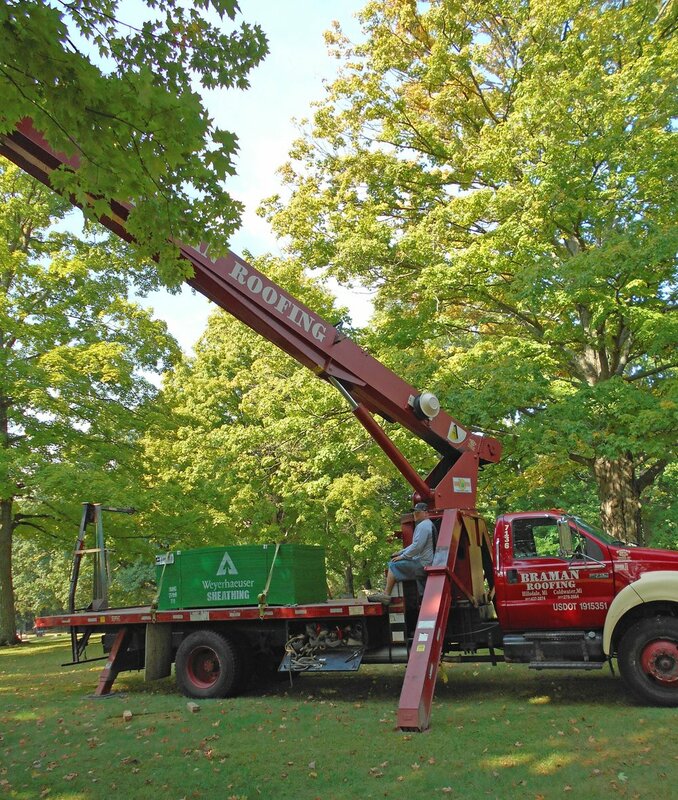 Braman Roofing donated the use of their crane, along with the services of a professional operator, Larry Barnes, Jr., to place the final large stones. Frank Engel, Cemetery Sexton, was also quite helpful, helping John McCormick dig the hole for the footings plus moving the large stones to the site. With the addition of two concrete benches created by McCormick, the old fountain area has become another place in Oak Grove Cemetery for peaceful contemplation.